Legacy applications are often low value to the business, pose security risks, and, once decommissioned, bring significant cost reductions and free valuable budget for innovation. 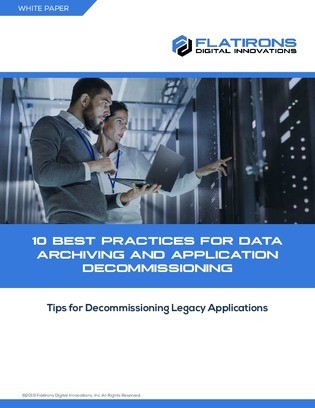 To learn how to successfully archive and decommission legacy applications, download this paper. It shares 10 proven practices to help you in the process while avoiding common pitfalls.